The OX-TRAN Model 702 is the latest innovation in oxygen transmission rate (OTR) oxygen permeability testing, incorporating the finest in technology while setting a new standard for permeation accuracy, throughput and ease-of-use. The simple design is ideal for quality control as well as conducting a shelf life study or other research and development. The OX-TRAN Model 702 incorporates a handy QuickStart feature allowing an operator to begin oxygen testing during a shelf life study or other scenario with only four mouse clicks. Security features to protect critical test setups and control multiple-user situations are standard. 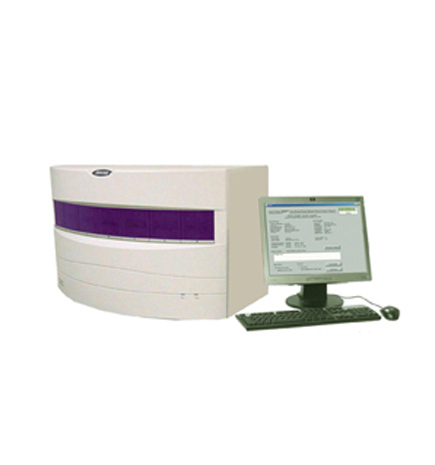 The OX-TRAN Model 702 complies with ASTM D-3985, F-1927 and F-1307, is certified traceable to N.I.S.T. and is CFR21 Part 11 compliant. These, plus optional validation and certification services and service contracts ensure you we will meet all regulatory requirements. The use of only the highest quality components enable you to trust the result on which your critical business decisions are made. Order your OX-TRAN Model 702 today! Oxygen permeation rate test system. test up to seven films or packages in any combination simultaneously.